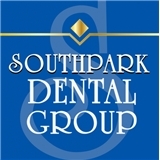 Southpark Dental Group (Orlando) - Book Appointment Online! As a state of the art dental office, we offer you and your family quality dental care. Our friendly staff, caring doctors, and state of the art equipment all contribute to a pleasant dental visit that you can look forward to. We offer a wide range of appointment times including early morning, Saturdays, and early evenings. We would like you and your family to become our patients! Dr. Diana Gomez is great! Such a caring person, professional and able to answer all my questions; not to mention a very nice looking facility with courteous staff. Dr. Reiter and the entire office staff were incredible! I was seen right away, the dental hygenist was kind and gentle and certainly put my nerves at ease. I was given a clear explanation of what was going on as well as their recommendations and I did not feel pressured to take those recommendations. I of course did, because the level of care was truly excellent. I have already scheduled my follow up appointments and I can understand why they were so packed at only 8:00AM!